Garver: What Are You Doing This Summer? Pictured above, University of Arkansas students Juliana Griffin, Cary Beth Lipscomb, and Bryce Carlton started internships last week. Bryce Carlton is working with Garver's water group in our North Little Rock, Arkansas office. He is a student at the University of Arkansas specializing in mechanical engineering. Bryce said Garver's wide variety of disciplines was a deciding factor in applying for a Garver internship. "This will introduce me to the different aspects of a job in engineering and will allow me to make a better decision on what I would like to do when I graduate," Bryce said. 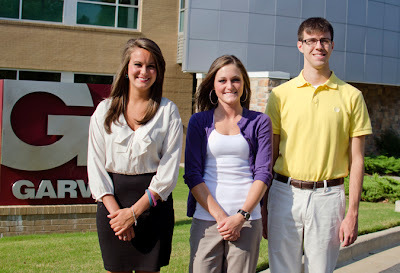 Cary Beth Lipscomb is a student at The University of Arkansas majoring in civil engineering. She's interested in structural analysis and design as it applies to bridge and transportation work, and is interning with the transportation group in North Little Rock. She is excited that her Garver internship will help her apply academic concepts on the job. "Working on a project, from start to finish, and being able to see progress in all areas at each phase is very exciting," Cary Beth said. "The cohesiveness between all engineering disciplines within Garver on a single project is unique. I look forward to the opportunity to learn from experienced professionals as well as work alongside them." Laura Anderson attended John Brown University to pursue her mechanical engineering degree. She began working as an intern last fall in our Fayetteville, Arkansas office and has now been hired full time to work with the aviation group in our Huntsville, Alabama office. 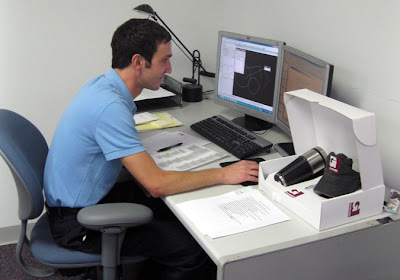 Blake Shadid is a civil engineering student at Oklahoma State University. He is working with our transportation group in our Tulsa, Oklahoma office. 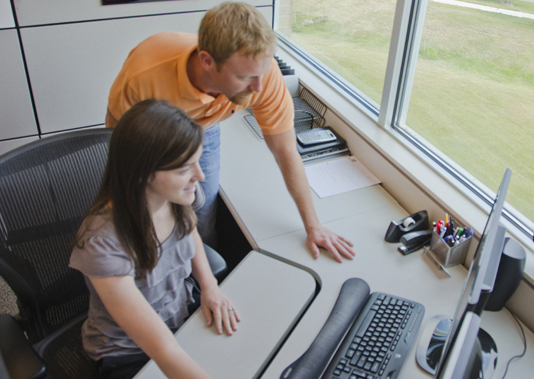 Ryan Sisemore, an aviation team leader in our Franklin, Tennessee office, is mentoring a student from Tennessee Tech University in his aviation group. "Our summer internship is designed to expose civil engineering undergraduates to the real world of consulting," Sisemore said. "From planning to design to construction services, the internship helps develop skill sets and provides a tangible relationship between academics and the problem solving required as engineers. And in today’s market, it is critical to show relevant experience on your resume to land that dream job." Want to intern next summer? If you're interested in a future internship with Garver, submit your information by applying to our Intern Applicant Pool through our career opportunities website. To be considered, students should have completed their sophomore year from an ABET-accredited engineering program. If you recently graduated from a college or university and are looking for a full-time position, you can apply to our Project Engineer Applicant Pool to be considered for openings as they arise. Visit our career opportunities website for more information.